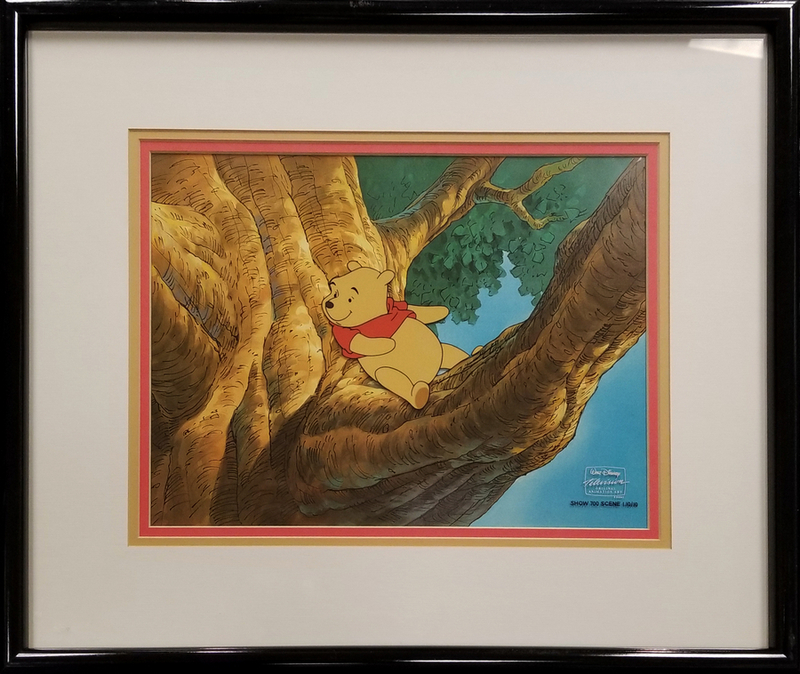 This is an original production cel from the Walt Disney Studios production of The New Adventures of Winnie the Pooh (1988-1991). 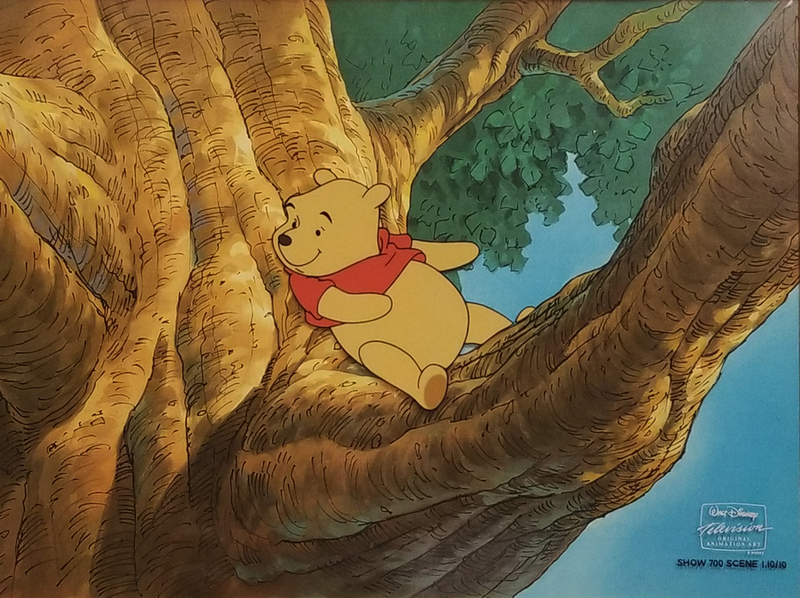 This cel features Winnie the Pooh sitting in a tree, and was created at the studio and used during the production of the series. 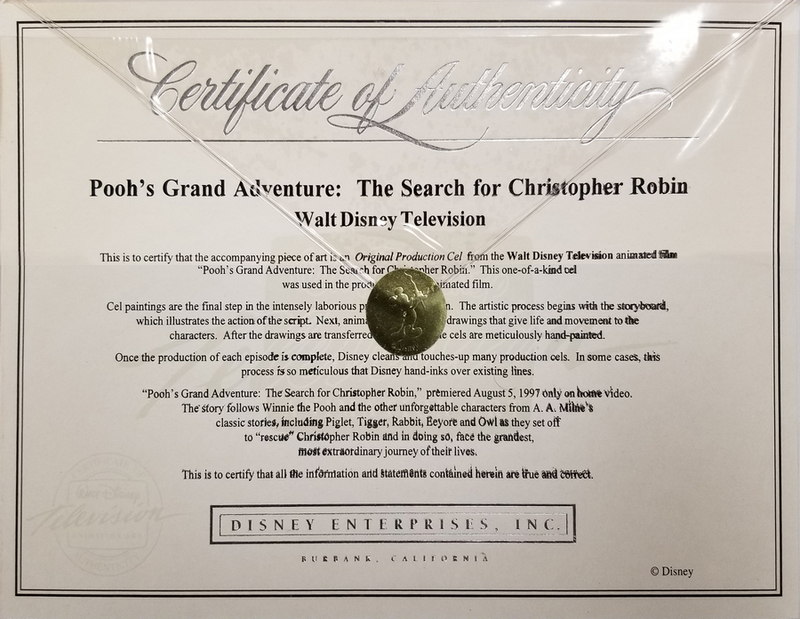 The overall measurements of the piece are 16" x 19" framed with a 9" x 12" mat opening and the image itself measures 3.5" x 4". 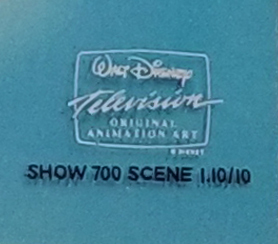 The cel is in excellent condition and is paired with a color copy reproduction background.